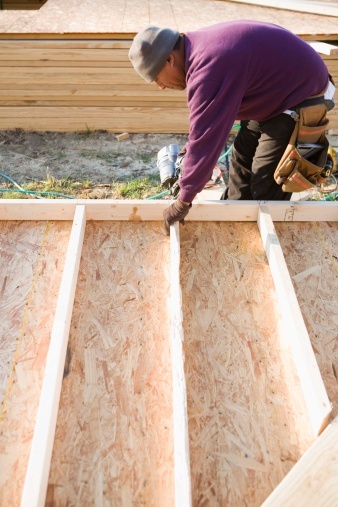 Although many saws are designed to cut flush against flat surfaces, their bulky bodies prevent builders from accessing corner spaces, such as the intersection of subfloor materials and walls. Removing subfloor materials that run beneath a wall is a common renovation task, and innovative tool manufacturers produce specialty saws to address this project's challenges. 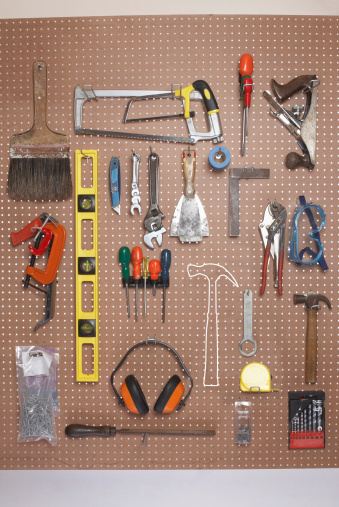 Learn about specialty tools used to cut the subfloor near a wall, and you can choose the right equipment for your job. 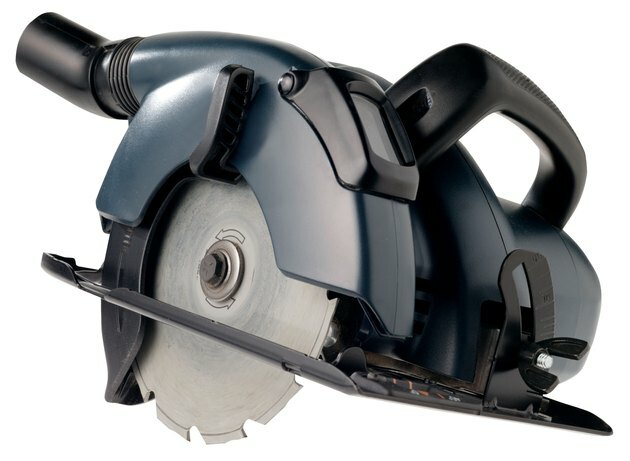 A standard circular saw's base prevents the tool from cutting flush against a wall. A toe kick saw consists of a small toothed blade attached to a standard size circular saw body via a long neck. The term toe kick refers to the recessed space beneath a kitchen's base cabinets. The saw's long, thin neck allows the tool's blade to reach beneath cabinetry and cut flush against the toe kick's vertical surface. Although designed for toe kick installation, these saws are capable of cutting flush against any vertical surface, including the subfloor close to a wall. Unlike toe kick saws, undercut saw blades are mounted directly to the saw's motor housing, similar to a standard circular saw. However, similar to an angle grinder, the undercut saw blade's position is perpendicular relative to the saw's body. As the saw's name suggests, the blade's position allows carpenters to rest the tool flush against a flat surface and cut beneath an adjacent material, particularly door jams and thresholds. However, placed against a vertical surface, such as a wall, the undercut saw creates a flush cut through adjacent subfloor material. Small enough to fit in the palm of a single hand, handheld rotary tools spin a variety of cutting attachments, including toothed blades that slice through subfloor materials. Like a toe kick saw or power drill, a handheld rotary tool's attachments protrude away from its body via a neck or shaft. Handheld rotary tool manufacturers offer flush cut attachments that allow builders to press the tool against a wall and cut only the adjacent subfloor. Specially designed to cut through masonry materials for prolonged periods, the masonry wall saw typically resembles a standard circular saw. However, whereas the base plate of a standard circular saw prevents workers from cutting flush against a wall, the masonry wall saw's base is designed to allow builders to create cuts at the intersection of walls and floors. Like other heavy-duty concrete cutting tools, concrete wall saws typically circulate water across the blade and cutting surface to encourage smooth cuts and prolong the blade's life.